BEAUTIFUL 1 BR FACING EAST AT THE PARK NEWBERRY! STUNNING CABREUVA HARDWOOD FLOORING THROUGHOUT UNIT. WHITE KIT W/NEW GRANITE COUNTERTOPS & EAT-IN SPACE. LR W/CUSTOM CHERRY BUILT IN SHELVING AROUND FP & LARGE PRIV BALCONY OVERLOOKING COURT YARD. LARGE MBR W/WALK IN CLOSET. BATHRM W/DOUBLE SINK & WP TUB. IN-UNIT W/D. STUNNING HOME IN ONE OF THE BEST BLDGS! 55 W Delaware #519 Chicago, Illinois 60610 is a condo property, which sold for $350,000. 55 W Delaware #519 has 1 bedroom(s) and 1 bath(s). 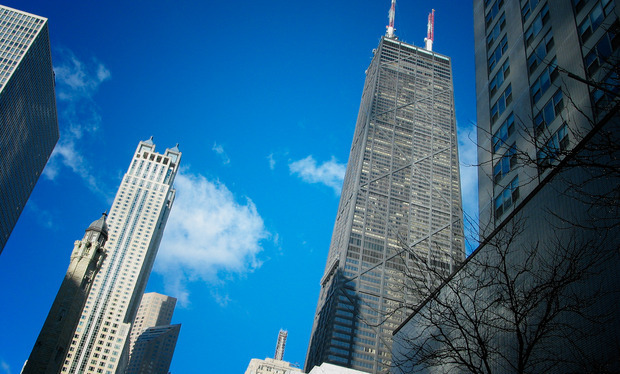 Want to learn more about 55 W Delaware #519 Chicago, Illinois 60610? Contact an @properties agent to request more info.